Harrie L. White was born May 20,1950 in Natchez, Mississippi. He was the son of the late Willie Lee White and Maggie White. Harrie departed this earthly life on Monday, January 14, 2019, in the comfort of his home, surrounded by his family. His family moved to Fort Wayne, Indiana in 1962. He was baptized, in 1963 at Progressive Baptist Church by his uncle the late Bishop Jesse White. Later in life, he united with Kingdom Door Christian Worship Center under the leadership of Pastor Harold Johnson. He attended Central High School and later completed his GED, proving it's never too late! In his past time he enjoyed riding his bike, watching television, sitting around playing cards and sharing stories with family and friends. 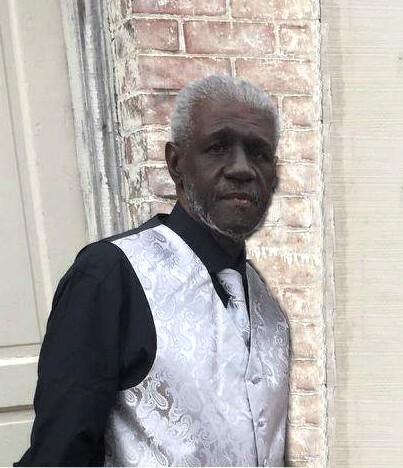 Harrie leaves to forever hold fond memories to his loving and devoted wife, Felecia Clark White; children, Harrie L. Rembert White, Letitia (Vincent) Floyd of St. Louis, Missouri, Marlon White, Edwana White and Angela White; brother, Rev. Willie White; two special grandchildren, Shaquilla Rembert of Indianapolis, Indiana and Xzavier Cooperwood along with 11 grandchildren, four great-grandchildren, a god-daughter, Misty Moore, a special cousin, Jessie White of Tampa Florida; and special friend, Gina Boyd-Dodson with a host of loving, nieces, nephews, cousins and friends. Harrie was also preceded in death by his son, Jeffery White, a grandson, Jeffery Howard and a brother, Nathaniel White.